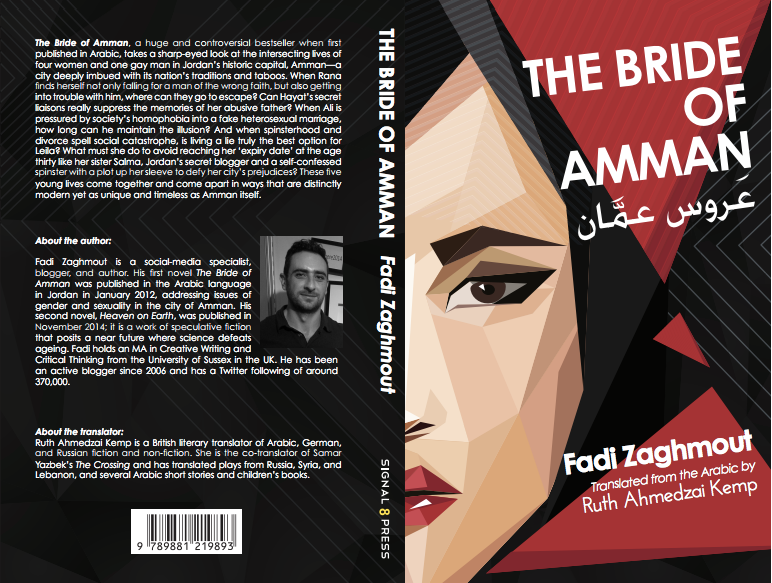 Fadi Zaghmout’s The Bride of Amman (translated into English by Ruth Ahmedzai Kemp) is a bold, charged novel detailing the struggle Jordanians face in abiding societal strictures on sexual orientation and gender identity. The taboo topics explored in the novel–including homosexuality, sexual abuse within tight-knit families, sexual harassment in the workplace, extramarital liaisons and interreligious marriage–have rendered the novel quite controversial in the Arab world, with readers either wildly celebrating or denigrating the novel for its “unrealistic” portrayals of Jordanian society. If we are talking strictly about content, then I belong to the former category. The uninhibited manner in which Zaghmout addresses such realities as living as a homosexual man in a modern, predominantly Muslim community is fresh, engaging, and educational (even for someone who considers herself well-versed in LGBT literature).